On August 28, The Anti-Defamation League announced that it had hired Obama holdover, George Selim, as its “Senior Vice President of Programs.” According to the ADL’s press release, Selim will be the ADL’s point man on programs connected to law enforcement, education and community security. This newly created position will ostensibly help the ADL better track, monitor and thwart all forms of xenophobia and prejudice. Selim will report directly to the ADL’s CEO, Jonathan Greenblatt. On paper, Selim, an Arab-American of Egyptian and Lebanese descent, appears qualified for the role. He served in the Bush and Obama administrations in various capacities, principally in the areas of community outreach and countering violent extremism (CVE). But beneath the surface lies a more sinister side to Selim, one that renders him entirely unfit for his new position. In a June 7, 2012 interview with the Daily Caller, Selim admitted engaging with representatives of the Council on American-Islamic Relations and further acknowledged that there were “hundreds” of such meetings taking place with various governmental departments and agencies. Selim refused to elaborate on the content of those meetings and offered no insight on which CAIR officials he met with. In 2007, the United States Department of Justice named CAIR as an unindicted co-conspirator in the infamous Holy Land Foundation for Relief and Development criminal probe. Members of the HLF were charged with laundering money to Hamas, a genocidal organization dedicated to the destruction of Israel and designated as a Foreign Terrorist Organization by the State Department. Moreover, CAIR officials are on record spewing vicious anti-Israel and anti-Semitic vitriol. 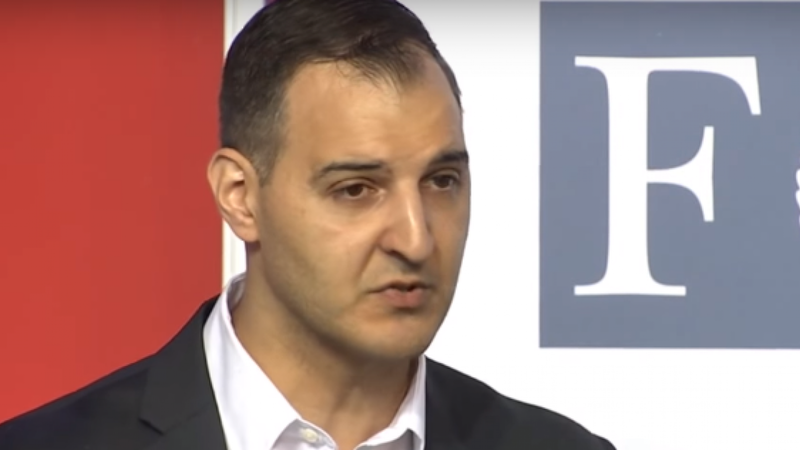 Its founder and executive director, Nihad Awad, is a poster child for conspiracy theories and medieval-style anti-Semitism. He is a Hamas supporter, has refused to condemn acts of terrorism committed against Israeli civilians, rejects Israel’s right to exist, espoused anti-Semitic canards of Jewish influence and control over U.S. foreign policy, and as has entertained wild David Duke-like conspiracy theories suggesting that Israel had a hand in the September 11 attacks. Even Greenblatt’s ADL has recognized CAIR’s odious nature publishing a dossier of the group on its website. Selim’s engagement with members of an organization possessing such a malevolent history is beyond baffling. Would he engage with the KKK or the Nazi Party? But what is even more incomprehensible is the ADL’s inexplicable decision to hire him. 2) ADL died the day that they refused to accept that what happened in Armenia was genocide because they were afraid for the jews in Turkey. That was the last year I donated there.